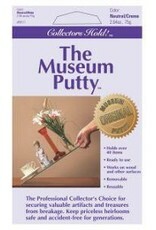 Museum Putty: For Porcelain and Ceramics. 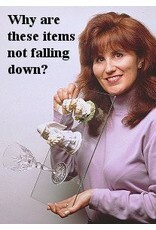 For objects that are frequently moved because it comes off easily and quickly. 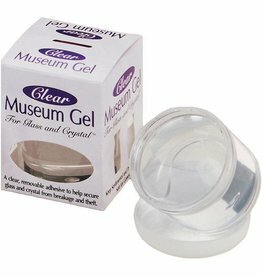 Most universal product and holds up to 40 lbs. 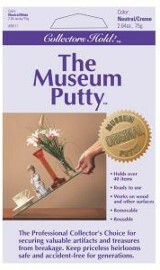 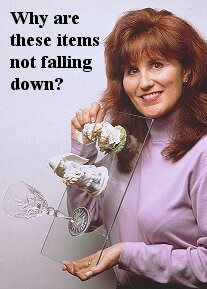 A superior Poly-Putty formulated to remain pliable and reusable HINT: Also good behind picture frames, in boats, RVs. 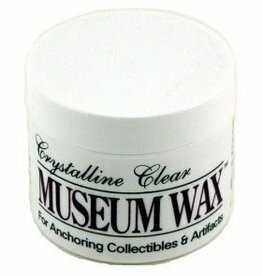 2.64 oz.